The steering system or steer is the system of mechanical elements which guarantee the ability to be directioned on a motor vehicle. 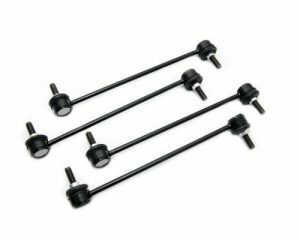 The Steering components , control arms, tie rod end, ball joint, tie rod, link stabilizer and silentblock are those elements which constitute the system and their goal is to transmit manual impulses given by the driver on the wheel on the steering system. The production and assembly of all SIR automotive parts spares is performed by computer-controlled automated machinery to unite speed and absolute precision. The Company’s ongoing investment in the most advanced equipment allow considerable savings on production costs, which are in turn passed on to our clients, but at the same time scrupulously safeguard the high production standards of the entire range of products. Since its foundation, SIR automotive parts has distinguished itself for its ability to focus its efforts on manufacturing spare parts that provide perfect substitutes for the original spares produced by leading car manufacturers, with particular expertise in steering racks. This choice has proved a winning, competitive policy throughout the world, where SIR automotive parts now occupies a role and identity that go beyond that of a first-class supplier: to represent an authentic partner able to ensure competitive certainties. 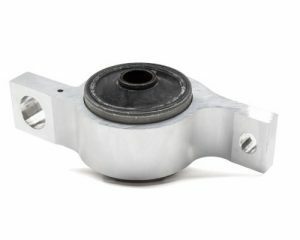 The Company’s ongoing growth that has successfully bridged even the most difficult times for the automotive market, makes SIR Automotive parts Italy’s sector leader and one of the most prominent players on the international panorama thanks to its efficiency, constructive vision and versatility. The production and assembly o is performed by computer-controlled automated machinery to unite speed and absolute precision. The strong point and distinctive factor of company competition is productive organisation, with rational planning of manufacturing flows and total process integration, from client requests through to delivery. The same rigorous quality parameters are applied to SIR automotive parts network of external suppliers by means of stringent specifications and are evaluated in terms of both product conformity and delivery regularity. This philosophy of industrial planning and close interaction between units includes computerised order processing and a cutting-edge storage warehouse co-ordinated to the central computer system. Website owned by Nordic Jones S.r.l.